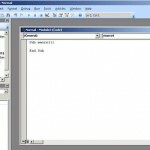 Convert pdf to word document with Some PDF to word Converter. This is another handy tool to convert PDF files to RTF (Rich text format). This PDF converter does a good job of converting PDF to Word.Though there is a small glitch, resulting in varied font sizes of the converted text, it can be easily corrected by doing a re-format in Word.But this tool does a neat job in extracting images and graphics.This is a user friendly tool. open one or multiple PDF files into the functional window, where you have a range of options for conversion.You can decide whether or not to keep images, which PDF pages to convert and so on. Some PDF to Word Converter helps you convert PDF files to Word documents, so you can edit and reuse your PDF content. Using Some PDF to Word Converter you can preserve original layout, text, images, vector drawings of your PDF file. it works on windows vista, XP and windows 2000. 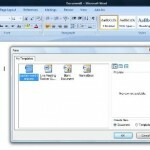 Free download Some PDF to Word Converter and enjoy converting PDF to word documents.